The Canadian restaurant chain Virtuous Pie has recently started selling vegan homemade cheese for in-house use, in addition to its vegan ice cream. It will be available in Vancouver from Friday to Sunday at Virtuous Pie’s Wesbrook Village outlet. The pizza chain was founded in 2016 in Vancouver, and since then has offered its customers a variety of purely plant-based ice cream creations. With the new vegan cheeses, customers will be encouraged to prepare vegan dishes with a cheesy taste. The home-made plant-based cheese is available in a range of nut and tofu varieties. 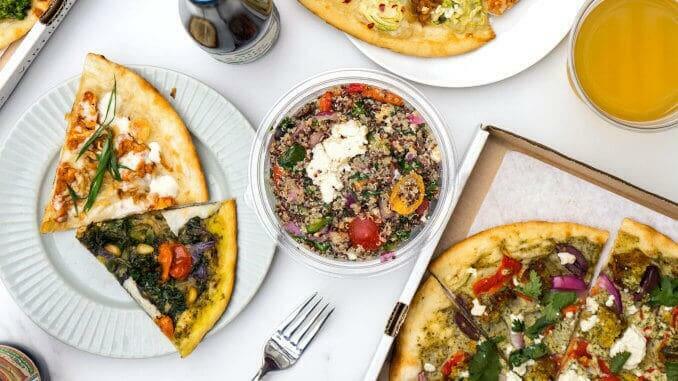 Customers can choose between feta or chèvre with cashew-mozzarella flavour, and much more. However, the vegan cheese is not intended to be a replica of dairy cheese; rather, the plant-based cheeses are “delicious, independent products in a category on their own,” says Jim Vesal, Director of Culinary and Business Development at Virtuous Pie. For more information about vegan cheese made from cashew nuts, click here.